During March we have decided that planting and growing activities will benefit the children and the kitchen! Babies will be planting wild flowers which will hopefully attract butterflies to the top garden beds. They will use sensory play to rotate the soil and sprinkle seeds onto the ground. Bobkins are going to be growing cress, a fast seeding, easy and visual plant. These are very good for the younger gardeners as they grow so fast- especially on Bobkins warm window sill! Lilliput’s will be cultivating sunflowers in their own individual pots which when large enough will be taken home. They will be tending to them as they grow- developing life skills. 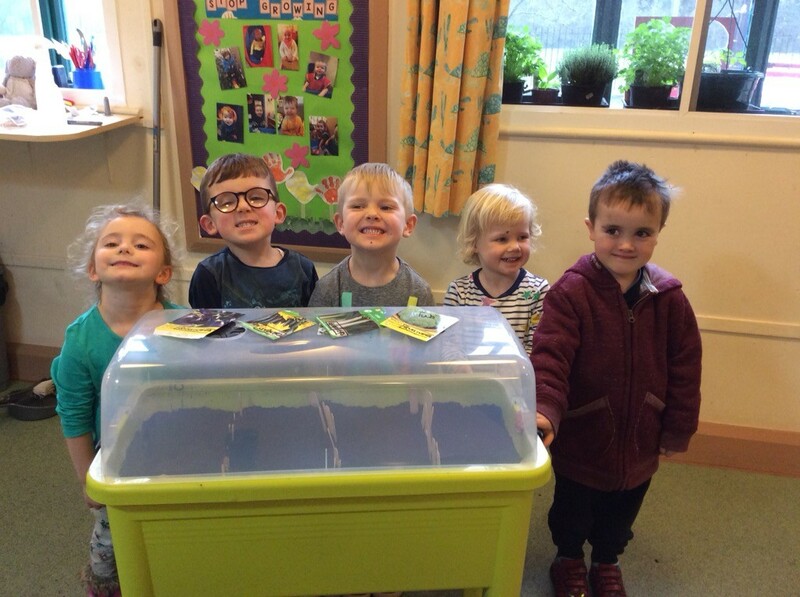 Gulliver’s have started to seed courgettes, peas, tomatoes and snack cucumbers as well as planting herbs in the bottom garden beds. In summer these things (hopefully) will be perfect to pick and eat themselves. All the rooms have shown great interest in the gardening experiences. 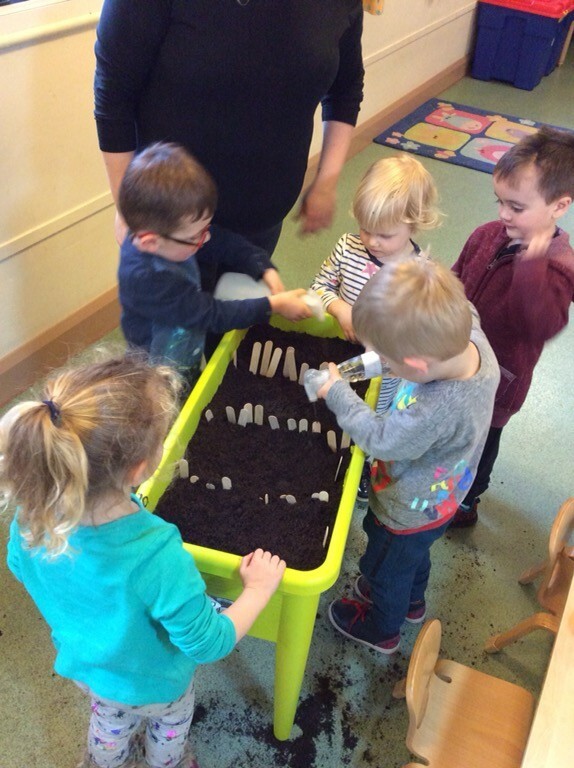 Children playing with soil, pulling up plants, strewing seeds is a fantastic learning experience. 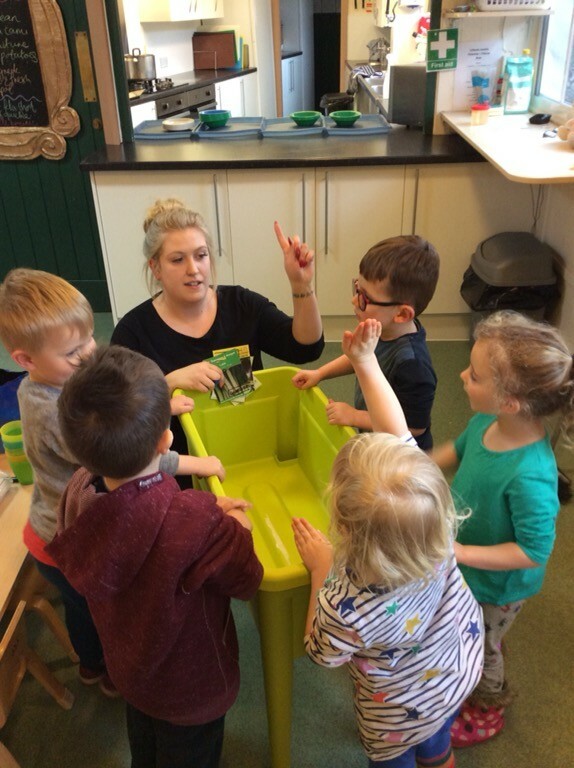 To fully understand the wonder of life, children need to be able to spend time handling, tasting and exploring the plants and foods around them. It also encourages teambuilding skills to improve self-confidence and also develops vocabulary skills- showing all levels of Personal, Emotional and Social development. Method: Fry off the garlic and onion in a drop of good quality olive oil until soft. Add veg stock- bring to boil. Add carrots, celery, leeks and return to boil. Add potatoes and greens. Simmer on low for 12-15 minutes until tender. I tend to blend with a hand blender at this point as the children tend to like a thicker soup. Add peas after this for texture. Add herbs finely chopped. Serve with warm homemade bread and enjoy! !